Just before the summer, the last major content patch for the popular vehicle combat simulation game War Thunder was introduced and brought the ground forces of Germany and Russia into the fray. This was patch 1.42. In patch 1.43, Gaijin Entertainment (the makers of War Thunder) tweaked the gameplay of the ground arcade battles as well as introducing more anti-aircraft vehicles. As a follow up to their 2 year-anniversary celebrations, War Thunder has announced that the next major content patch will be dubbed Steel Generals, update 1.45, which will be bringing in the American line of tanks and ground vehicles. Gaijin Entertainment has given us a sneak peek of some of the vehicles you will be driving around in Steel Generals. The M4 Sherman, the main workhorse for the US army during WWII. Although a German-captured version already exists in the game, fans will be surely be happy to finally see the Sherman in its actual colors. Expect many different variants, just as they had existed in history, with variants that pack the 75mm gun (as opposed to the more anti-armored 76mm variant of the above tank) and the famous “Easy Eight” M4A3E8. A really heavy tank that was introduced way past the WWII era. Expect this tank to populate the highest tiers of the American tech tree in War Thunder to allow the Americans to have a tank that would give Russian Iosif Stalins a run for their money. It looks awful. It was historically awful. Already obsolete when it entered service, let alone WWII, which can only mean that this tank will be one of the first tanks you will be using (if not the actual starter tank) in the War Thunder American tech tree. The Germans have 20mm flakvierlings and many other larger calibres. So do the Russians. It seems (per the trend on American planes), the US (historically) believed slapping on a bunch of .50 cal machine guns was plenty good against planes. The effectiveness is arguable (especially in the game), but at least you get a halftrack! A light tank that was introduced near the tail end of the Korean War. Will likely populate the higher tiers of the American tech tree pairing mobility and decent firepower. Obviously, the tech tree won’t just comprise of these 5 vehicles. It’s a sure bet you will see some of your favorite tank destroyers, be they the M10 Wolverine or the M18 Hellcat, just as the Russians and Germans do. Light tanks like the M3 Stuart or the M24 Chaffee or even medium tanks like the M3 Lee and all the different variants in between will make sure fans of American military vehicles will have something to look forward to in War Thunder when patch 1.45 rolls in. 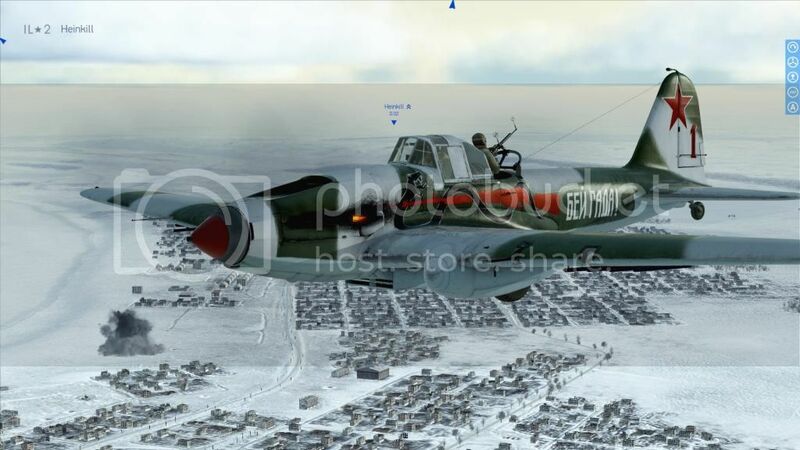 Looking for Heinkill's IL2 Battle of Stalingrad review? By mutual agreement with SimHQ it will be hosted there. Proudly sponsored by yours truly, War Thunder GameHub! This is a flight game that wants to take you from Harry Potter today to DeathEater one day soon, and if you want to deal some death, you need to master all the plane controls. And there are gazillions. Told youse it was a step up from WT! !